Your Experienced Injection Molding Company – Advanced Plastiform, Inc.
Advanced Plastiform, Inc., operates as a customer-driven organization, striving to fulfill customer needs as quickly and efficiently as possible. As many of our customers have grown, their annual volumes, part complexities and material requirements have evolved. In some cases, parts manufactured with our thermoforming technologies have reached thresholds that make them good candidates for injection molding. As a result, API has invested heavily in injection molding machinery, technology, and engineering support to satisfy our customer’s changing needs. API brings the same state-of-the-art equipment and cutting-edge processes to injection molding operations that are routinely applied in thermoforming operations. 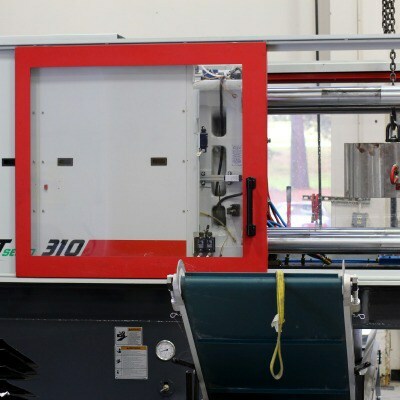 Advanced Plastiform has injection presses from 100 tons to 530 tons, resulting in a one-stop shop approach for customers seeking custom plastic product design and manufacture. Working with the engineers during the product development cycle, your product design will be evaluated for the best possible molding process to achieve your project goals. What may start as a thermoformed idea could very easily turn into an injection molded part, meet your return on investment goals and produce a part exceeding your original expectations. Often considered too expensive by many product engineers, due to the high tooling costs, there are many products that are best suited for injection molding. Working with the top tooling manufacturers in the United States and overseas, API is often able to deliver affordable tooling designs, offering our customers the opportunity to evaluate the benefits of both thermoforming and injection molding, and making the best choice for their project in one design process. The common drawback to injection molding is the high cost of tooling. Due to the high pressures required in the molding process, the tooling must be a double-sided design, manufactured from steel, aluminum or a beryllium-copper alloy. However, for projects with very high unit requirements, injection molding offers a very low per unit molded part cost. In injection molding, the plastic used in the molding process begins as thermoplastic pellets, available in a wide variety of materials and colors. 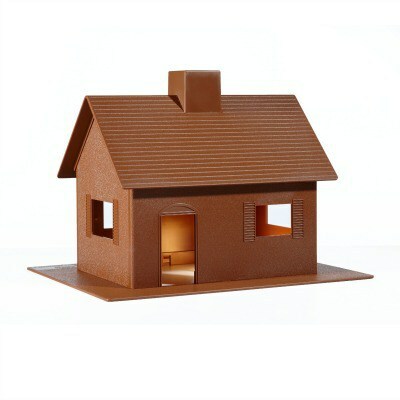 In addition, additives and colors can be added during the molding process to create highly customization material properties for a finished part. During the molding process, the thermoplastic pellets are heated until in a liquid state and then injected into the mold under extremely high pressures. After proper cooling, the parts are ejected from the mold, in many cases, ready to be used as the finished product. In some projects, further processing is required and injection molded parts are often painted, silk screened or coated with specialty coatings for aesthetic or functional purposes. Injection molding offers very low per unit part costs, that when applied to high volume projects, can easily offset the high tooling costs for a very low-cost project overall. Injection molding also allows for more advanced and aggressive part designs that can be achieved through thermoforming. Let Advanced Plastiform, Inc., help you decide whether it’s best for your component to be thermoformed or injection molded. By working with their design team, your project will receive a full evaluation for either process, and the costs and benefits of both processes will be fully explained for parts that can be molded via either process. API commonly develops thermoformed projects that evolve over time into injection molded programs. At the end of the product development process, their goal is to deliver your project on time, to your required specifications, while meeting your return on investment goals. Thermoformed or injection molded, the team of highly skilled experts will ensure you choose the best option for your project. Searching for an injection molding company in the Southeast area of the U.S.A? Contact API of North Carolina. Located just outside of Raleigh, Advanced Plastifom, Inc., offers customers the expertise of staffed engineers and on-site manufacturing and inventory management. From concept to delivery, API is your answer for injection molded, custom plastic products manufactured in North Carolina, South Carolina, Pennsylvania, Maryland, Tennessee, Georgia and Virginia.